Bambu Estate – Kisan Lu Lands and Development, Inc.
Bambu Estate lies in a perfect paradise of Mintal Davao City (infront of Philippine Sci. Highschool). This project of Kisan Lu Lands Inc. would like to help the people in providing affordable and quality stable houses.The company also aims to level up the lifestyle of the dabawenyos by providing a home and not just a house. House Model: YUMI P1,950,000 ( can be paid in PAG-IBIG and INHOUSE payment) 3bedroooms,2 Toilet and Bath. Package: ceramic tiles, cabinets on kitchen,CR and on 3 rooms. YOU don’t need that much to own a house that gives comfort to you and your family — a shelter that is affordable but of superior quality and designed to protect and preserve the beauty and balance of nature. Property developer Kisan Lu Lands Inc. (KLLI) formally launched on Wednesday its newest development project in Davao City dubbed as the Bambu Estate, with an initial investment of P250 million. “Every project that we have carries a theme. For Bambu Estate, it’s Zen, as we also promote green architecture,” Kristin said, at the unveiling of Bambu Estate marker on Wednesday. “We make sure that the subdivisions we develop are fully landscaped and planted with trees. What we develop are not your usual subdivisions,” she added. Kisan Lu has two other ongoing development projects in Davao City, the upscale Amiya Resort Residences and the Twin Palms Residences in Ma-a. True to its name, landscaping at Bambu Estate will fully utilize bamboo, which is teeming in the 27-hectare property. “Kaya kinuha namin ang concept na Zen, kase maraming bamboo dito and we want to preserve it,” Ram Lu, KLLI vice president for operations. Bambu Estate, which is accessible by public transport and just two kilometers away from Mintal proper, is a low-cost housing development that provides affordable, yet quality shelter with a unique design. “The price is affordable… very low. But once you get in your house at Bambu, you feel rich,” Andrew Bautista, KLLI sales and marketing director said. “At hindi namin tinipid ang lot size. The minimum area is 150 sq. m. and we see to it that every house has a garage and a lawn,” Kristin said. “And yong roof, pinagawa talaga namin exclusively for this project, kaya if you look at it, iba talaga ang kulay,” Ram, for his part said. Kristin said Bambu Estate will be developed into two phases, the North Bambu and the South Bambu. “Development works will soon start at North Bambo. In fact we started selling in February, but yong active selling talaga started in April,” she said. And what is surprising, according to Bautista, is that most investors or buyers are from Luzon and Visayas. “Basically we have a mixed market for this project. And believe it or not most of those who have invested here are people from Luzon and Visayas,” he said. Davao buyers, according to Bautista, comprised only about 30 percent, while the rest are from Luzon and Visayas who are planning to migrate in the city. “Based on our data, we have migrants in Davao City… of course hindi mawala dyan ang OFWs natin. People in Davao are just 30 percent of the total investors,” he said. Kristin said since they have started actively selling the North Bambu, more than 50 percent of the 480 lots available are already sold. “Our sales forces are very active. The spirit is there to bring in investors from Cotabato, General Santos and the neighboring areas. Of course we also entertain interested buyers from Internet,” Bautista said. “Tinutulunagn din namin sila magbenta, by coming out with unique and quality product,” Kristin, for his part said. She said with the way they are selling right now, it will only take two years before the development project is completed. “We expect North Bambu to be finished next year. Then we will proceed with South Bambu,” Kristin said. South Bambu has 285 lots available. She said each phase of the project will be equipped with amenities that you cannot found in other low-cost housing development. “We have a swimming pool, a clubhouse and basketball court for each phase, plus a commercial block sa fontage, that’s along the highway,” Kristin said. “Right now, we are working on our layout. Development works will soon start,” she added. 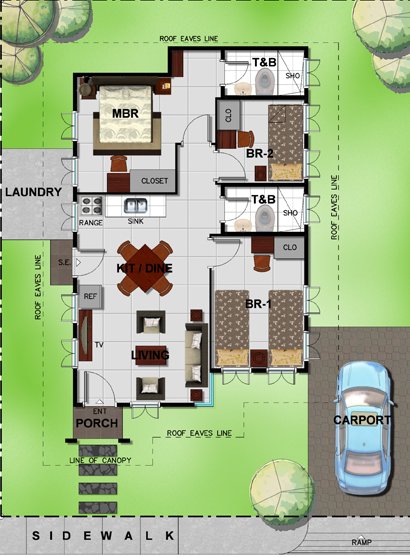 Bambu Estate offers two house models, the Hana and Yumi, each has a total lot area of 150 sqm. “At present, our cheapest package is P1.4 million (for Hana) and the highest is P1.9 million (for Yumi),” Bautista said. In fact, because of the demand of the market, Bautista said they have increased their prices once since they started selling. “Before our cheapest package was only P1.1 million and a high of P1.6 million,” he said. 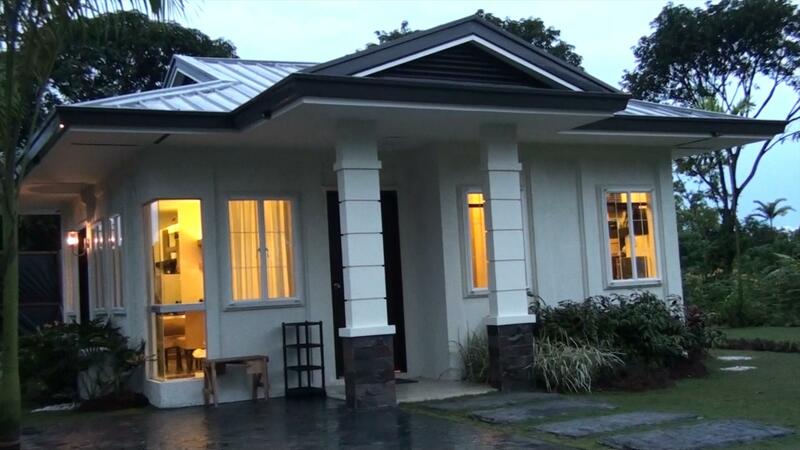 Hana, with a total package cost of P1,450,000, has a floor area of 40.38 sqm. with two bedrooms. 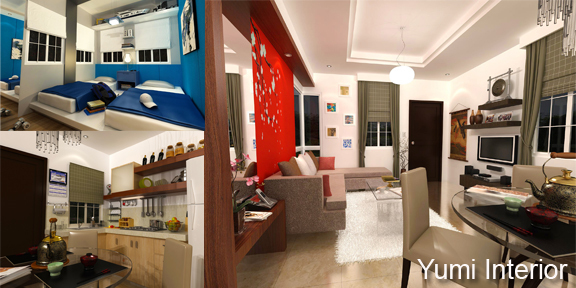 Yumi, on the other hand, has a total package cost of P1.9 million with a floor area of 54.90 sqm. with three bedrooms. Published in the Sun.Star Davao newspaper on September 20, 2010.
ma’am, sir, pwede mag ask kung unsa nga type ang atop sa YUMI sa bambu estate??? send it now.. 2 weeks ago lat i follow up it..
wer can we place a reservation for this. Presently Im working in Singapore and I saw the area when I went home on July. I am interested of Hana units can i have the computation on both pag-ibig and inhouse payment as well as the requirments. thanks you sir and more power. gud am po sir albert,,,,sir ask ko lng kc nakakuha nako dyn sa my blk.28 lot27 medyo nalayuan kc ko kung pwede kung my mgbackout na medyo malapitlapit sa highway pakitawagan na lng po sa#282-0277 pwede ho bang makalipat kung meron salamat po……. Please send computation for Hana & Yumi both (Pag-ibig options) to my email add. I will wait for it. Thanks a lot. sir, i just want to know if may unit available pa ang YUMI … and how much ang down payment po. Ask ko rin if until ilang months pwede bayaran ang down payment. inquiry lang po kung ano steps para maka kuha ng unit. Yung checklist is already a dead link. I am interested for lot only.. Please send me feedback.. Please advise how many months is the turn over of unit after full downpayment? we are interested, kindly send us any changes for the rates.thank you!God bless. I will be retiring in the very near future and be moving to Davao to marry my sweetheart. I am vey interested in purchasing a Yumi in Bambu Estate. What is the difference between the high density and low density area? Are the prices of the homes different in the two clusters? Are there any additional fees for use of any of the development facilities such as the swimming pool? Would it be possible for my fiance’ to have a tour of the development and a Yumi at some time? Can you please send me computation of both houses (hana & yumi) by Pag-ibig and in house financing ? How about lots only, is it available in Bambu? Please send reply thru my email . Thank you. Interested in YUMI house model.. please send pa send sir ng computation thru Pag-ibig. I am interested to know how much costs a new build Yumi and Hana and how long does it take? Can you also provide me a description of all fixings provided in the rooms and outside the houseI will be visiting Davao this month and would like to view. I am interested in your unit in bambu estate mintal area..I am just wondering if i already have started paying for the unit and suddenly change my mind for some reason, what should I do if I want to backout and decided to refund my money..
concern lang po,this area ba?hndi binabaha?lately kc have knwn na bahain sa area:(..